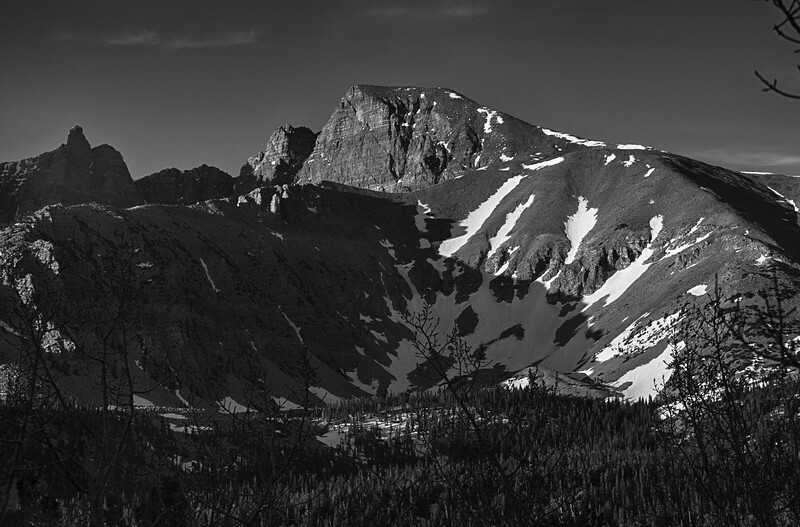 Centerpiece and high point of Great Basin National Park, Wheeler Peak (13063 ft / 3982 m) has one of the few remaining glaciers in Nevada. It also features a grove of ancient Bristlecone Pine trees up to 5000 years old, growing at 10000 ft (3048 m) elevation. Unexpected alpine beauty, surrounded by salt flats and sagebrush, on an isolated "island in the sky". In homage to Ansel Adams.